Kebab is usually known as a non-vegetarian dish but there are many kebabs prepared from vegetables are also very famous and delicious. The raw banana kebab ( Kache Kele ke Kebab) is a popular vegetarian version. Today we have brought you raw banana kebab (Kache Kele Ke Kebab) recipe. Nowadays raw banana in the market is available in abundance. That's why people are curious about each other's raw banana dishes. Then why cannot we make raw banana kebab? Raw Banana Kebab is a very delicious, healthy and nutritious snack, particular during Navratri, which has a royal taste and easily melts in the mouth with spicy flavors, that can be enjoyed in any fast with tea or any other drink. Check out this easy recipe which is also vegan and gluten-free! 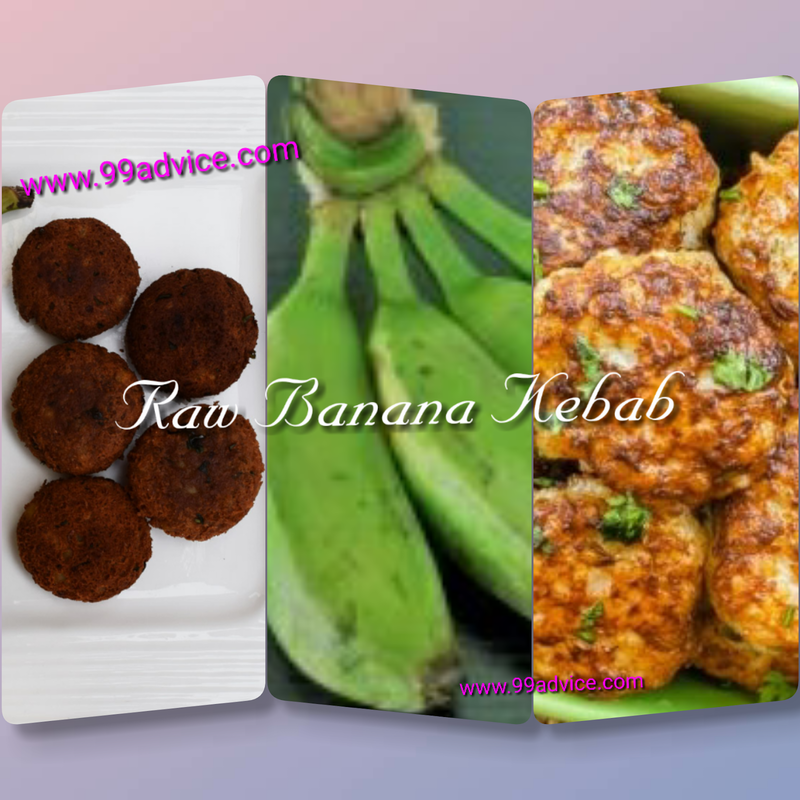 We believe that raw banana kebab recipes will certainly like by you. Firstly put raw Bananas in a pressure cooker and boil with around one cup of water. Peel the boiled bananas and put them in a vessel and mash well. Add ginger, cardamom powder in boiled bananas and mix all together. After this mix 1/4 cup Buckwheat Flour, coriander powder, red chili powder, green chilies, green coriander, lemon juice, and rock salt. Now take a small amount of mixture into your hand and make the desired shape of this mixture. While making kababs, apply oil in your palms so that the mixture does not glue. Take the Buckwheat Flour and spread it on a plate, then put a kabab on a plate with flour and roll it in the plate such that the surface area of kabab is covered with the flour. Repeat this process for all the prepared kababs. Now heat the ghee in a frying pan over the gas. When the ghee is warmed, put three to four banana kebabs at a time and fry them on medium heat till both sides turn golden brown. Now, your banana kebab recipe is complete and transfer it to in a plate. Totally yummy Kacche Kele ke Kebab or raw Banana Kebabs are ready to be served. Serve them with any seasoning of your choice or serve with Imli chutney, Mint Chutney or plain Yogurt. Instead of deep frying the Kebabs, you can also shallow fry them on a flat nonstick Pan or Tawa with very little oil, as all the ingredients in the mixture are already cooked. Because in shallow frying kebab less oil is used and its taste is also good. It's upon you that whether to deep fry the kebab or shallow fry them. You can also make Arbi ke kabab by this method. Good and easy recipe. Thanks for sharing this recipe.First time I am visiting your site. I found so many recipes in your blog.So i try to make this in my home.Cooking is my favorite field and I try new experiments in it.Expecting more wonderful recipes like this.Each Indian citizen must have a pancard.So there are different ways to apply for a card refer more one of the easy way to panseva is through online,which is one of the easiest method.Looking for a new pan card then apply here in a easiest step.